Rated 5 out of 5 by R3DFOX01 from Such Good Memories I Loved playing this game at my grandpa's house. Very memorable and replay-able. Rated 4 out of 5 by radarsweet from Good Beginners Game I've had this game for several years, & it's become a nice part of my collection. There are three Magic Encyclopedia games; this is not my favorite from the series. 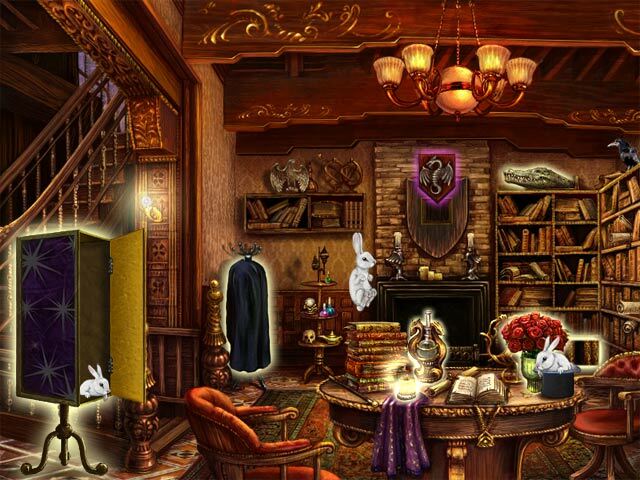 Again, this is a FROG (fragmented Hidden Object Game). There are some fragments that can be very hard to see. The graphics are good - not overwhelmingly so, but good. The mini-games are quite simple. The hint & skip recharged at a fairly good pace, though I didn't need either one very much. There are no voice overs, & the music from these can get tedious. I would definitely recommend this game to anyone starting out. It's a good beginners game, & it helps you in other games you will play to see items that may just look like another part of the scenery. So have fun with this one. It's a great way to break into our little HOS club. 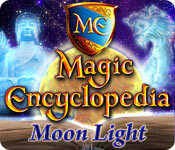 Rated 4 out of 5 by gamefan10 from Much better than first game Magic Encyclopedia Moon Light is a very good game. It's similar to the first Magic Encyclopedia game, but the art work is much better. You have to find hidden fragments of objects, and when you've found them all, then you can use the object. The objective of this game is to find a missing professor. You jump back and forth to different places on a world map, assembling and using objects. Some objects are used in a different room, so you can't use it immediately. In every scene there are jewels to find, and if you don't find them all, you can't finish the game. You can tell if you've found them by looking at the map. A jewel will be above the flag for your location if it still hasn't been found. The one thing I disliked about the game is that some of the fragments were very tiny and hard to find. I clicked all over the screen and found lots of stuff that way - there's no penalty for over-clicking. I liked this game a lot. It's not quite as good as the third and final game, Magic Encyclopedia: Illusions, but it's still lots of fun to play. Rated 4 out of 5 by rosekaufmann from FUN FRAG Finished game in 4 hours. Mini-games are easy to mildly challenging – you can play them after completing the main game. FRAGs are colorful and detailed. Most missing fragments are large, but there are a few which are very small. Some objects from one scene may be used in another, but there are never more than 4 scenes open at one time. Very soothing music. Dialogue is written but flashes by too fast. You may have to repeat the dialogue to read all of it – especially at the end of the game. Hints are unlimited, unlike the first Magic Encyclopedia (which I thought was more fun). Rated 4 out of 5 by andibeard from Better Than the First! I have played the first three in the series and this one is by far my favorite of the three. 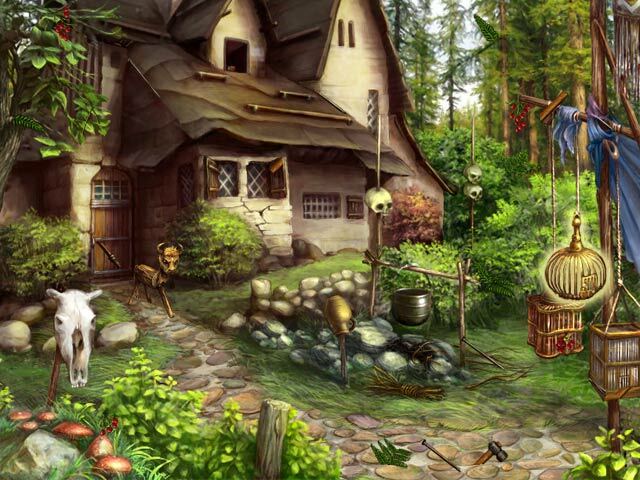 It has all the elements needed for a great HO/Adventure game and has a nice balance between challenge and fun. Some of the tasks were slightly difficult to figure out, but nothing was impossible or frustrating. A fun game with a storyline that's a nice break from the "dark/mystery/sinister" type games that are so prevalent in the genre! Rated 4 out of 5 by neilskinut from Fun to pay Not your normal HO game. Fun to play and long enough. Some of the items to find are hard to spot but the hint button works great. Rated 4 out of 5 by grandmacathy from Liked it It was challenging enough for a HO game for me. I needed the hints so it was nice to have the hint refill so quickly. The graphics are not as spectacular as other HO games, but not as bad as others. Rated 4 out of 5 by bearlybrave from Good game for 2nd installment This is the 2nd in the series and is pretty good. The grapics are above average although a little grainy. The storyline is good, the music is ok but can become annoying. This is a fragmented HO that is played in segments of 1 to 4 rooms. Most objects are easy to find, but several can be quite small making it somewhat difficult. The puzzles are all doable and for the most part simple. Hint button refills very quickly and all puzzles can be skipped. You also collect gems in the various locations. The game is not simple or difficult but has a combination of both elements to keep you entertained. It's just a relaxing game with a little difficulty thrown in. Overall I recommend this game. 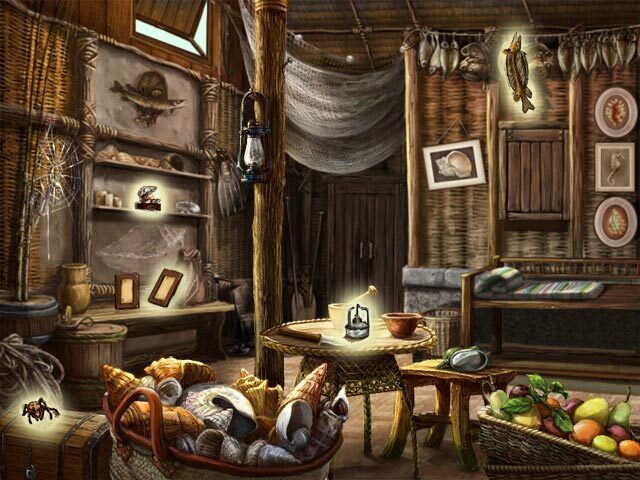 Rated 3 out of 5 by SeaBamboo from Good once past the opening HO scenes This is a Fragmented Hidden Object, initially set in China where the graphics are very grainy & are too colourful. However once the game moved into other areas the graphics improved & the artwork was the usual beautiful drawing I associate with the developers who made this game. You are accompanied to each scene by an origami crane that swiftly becomes annoying as you cannot turn off this ‘helper’ who appears each time you encounter something new; once you get past China this disappears thankfully. The screens load very slowly initially but they are connected to each other by special coins that are collected & by clicking these you can move between scenes with ease. The cursor is beautifully elegant & changes to hand, eye, etc. depending upon what you can do in an area. The hint recharges in 30 seconds & there are no misclick penalties, the mini games are easy at first but soon become harder, there is a skip button. Some item pieces are extremely well blended into the background & difficult to find & some you cannot assemble until you have completed another object. You also collect jewels along the way to charge an amulet. There are 32 levels & I had just completed four of them & was about to start on 5 & 6 (they opened together) when the trial ended. Unfortunately due to the difficulty of seeing many of the objects I will not be purchasing but if you have good eyesight this game should last you quite a while & is well worth playing.